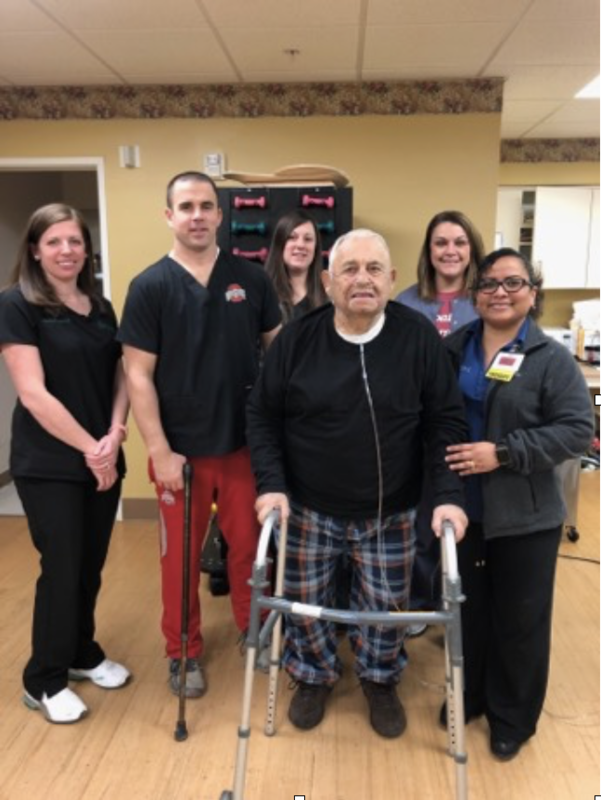 Mr. Robert is one of our many success stories here at Emerald Pointe Health and Rehabilitation Center in Barnesville, Ohio. After his rehab stay at Emerald Pointe, Robert Stephen had many awesome things to say about the care, therapy, and treatment he received at Emerald Pointe. Emerald Pointe Health & Rehabilitation is a 64-bed skilled nursing facility in Barnesville, Ohio. Emerald Pointe is unique by offering all private suites with private bathrooms for the comfort and of each resident. Resident care is individualized based on the resident’s need. The team at Emerald Pointe plans care with the resident, family, and loved ones every step of the way to ensure the resident gets the highest quality of care they deserve, no matter what the outcome is that they are looking for. We are a facility that can accept a community member in any walk of life. We specialize in rehabilitation to home programs with physical, occupational, and speech therapy programs, but some of our rehab residents love the facility so much that they choose to stay with us! We welcome long term residents as well, for those who simply cannot take care of themselves at home anymore. All resident rooms can be decorated to the resident’s liking for a very homelike atmosphere. We offer restaurant-style dining, beauty salon services, activities and recreation, IV therapy, 24-hour RN services, wound care, respiratory management, social services, excellent customer service, outstanding staff, hospice care, and many other amenities.